Kickstarting your events in 2013! These designs work great on all Name Badge and Tent Card standard stock sizes. 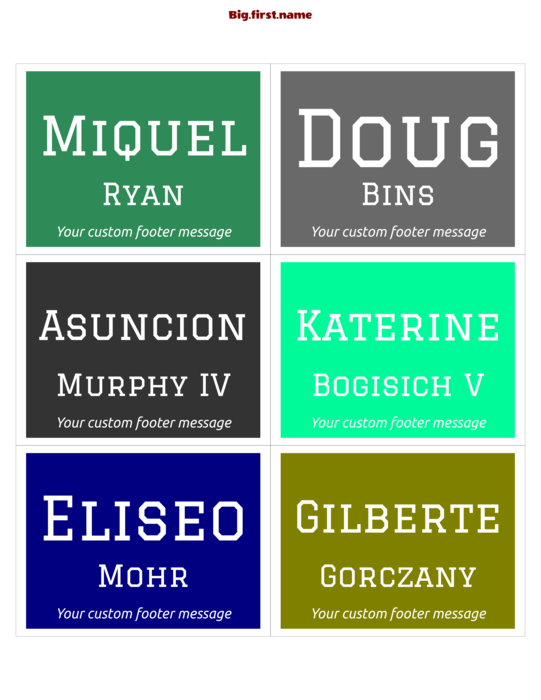 You can now select these designs in your Big.first.name account. 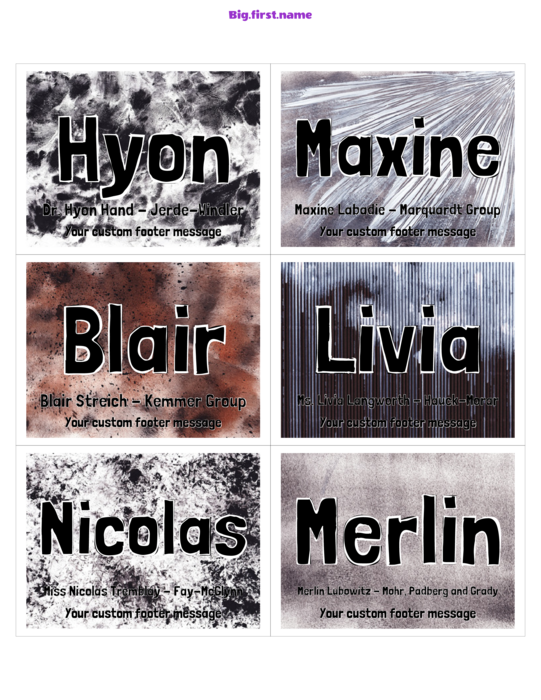 See our full collection of designs at http://Big.first.name/design_templates. Upgrade your account to the Professional Plan and we’ll help you with you designing a custom design. And if you need any help at anytime then please get in touch… support@big.first.name.